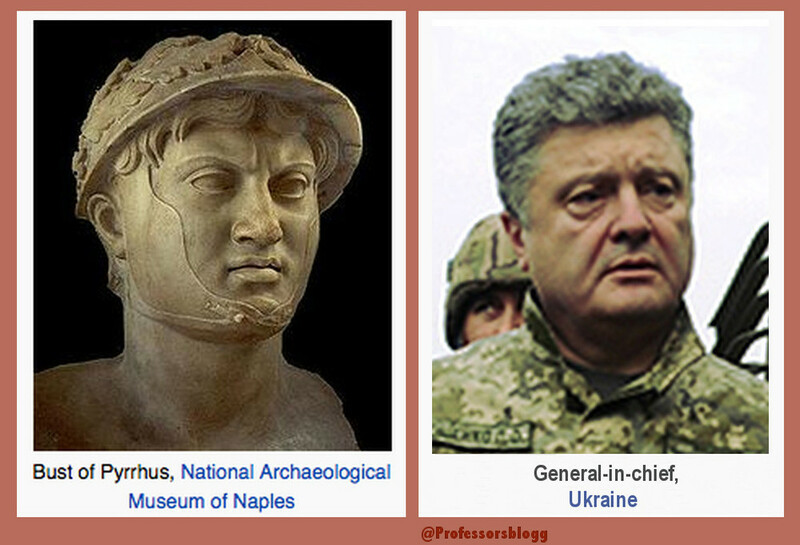 What the great General Pyrrhus of Epirus, and the amateur General #Pyrrhoshenko of Ukraine have in common? Nothing besides the high number of casualties of their armies. 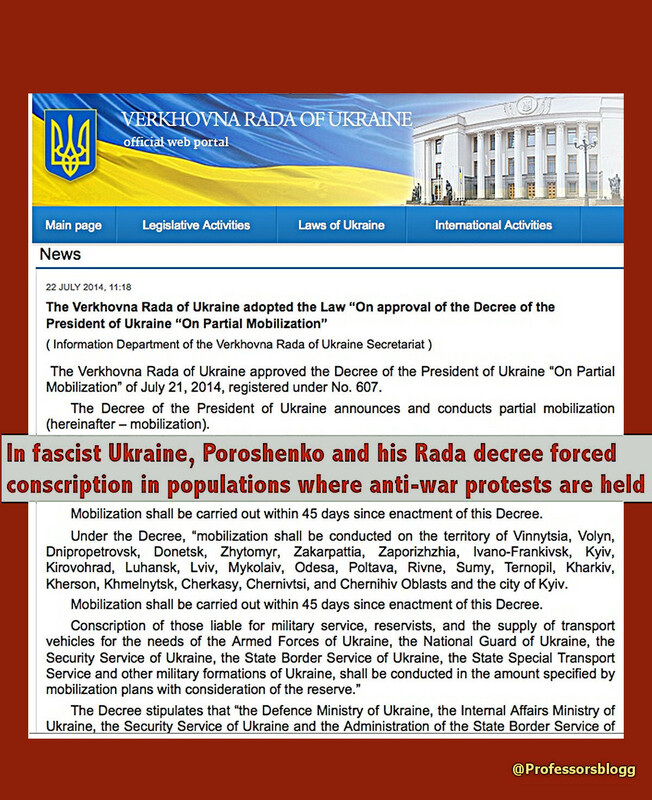 While the anti-war movement increases all over Ukraine, the government adopts one more legislation, typical of fascist rule: it orders the forced conscription (called “partial mobilization”) of all those “Liable for military service”. The rule to affect precisely areas in Ukraine where the anti-war movement has erupted. High toll of Ukraine-troop casualties (N= 86 servicemen) reported anew in last 24 hrs combats.This add to the 72 casualties of two days ago. See below. A Pyrrhic victory is a victory with such a devastating cost that it is tantamount to defeat. Someone who wins a Pyrrhic victory has been victorious in some way; however, the heavy toll negates any sense of achievement or profit (another term for this would be “hollow victory”). Great General Pyrrhus of Epirus suffered enormous casualties when ‘defeated’ the Romans at Heraclea in 280 BC. His army wouldn’t recover. It originated the term “a Pyrrhic victory”. Amateur Gral #Pyrroshenko is suffering big casualties during his “ATO” campaign , long prior achieving his promised victory in East Ukraine. For him, it is a lost-lost outcome: Either a ‘Pyrrhic victory’ or a new Stalingrad. Both General Pyrrhus of Epirus and Gral #Pyrroshenko of Ukraine faced STRATEGIC defeat despite TACTICAL pseudo-victories, which entailed heavy loses. 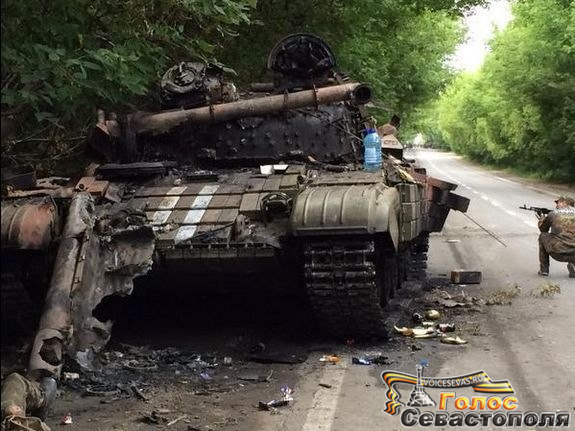 As could have been expected, the last weekend of July was marked by yet another offensive gamble by the Kiev regime. More precisely, there were, in fact, two such offensive gambles. At the same time, it must be noted that the second one, to which observers paid less attention, was in no way less dangerous to the Militia than the one that occupied the primary spot in the propaganda efforts of the informational support specialists of the “punitive corps”. Both operations were gambles for the simple reason that they were constructed solely on the basis of the punitive forces’ firm belief in their operational-tactical superiority over the Militia and in reliance on their absolute certainty in the Militia’s inability to render in any way stubborn resistance. It must further be noted that throughout the entire month of July, the command of the punitive forces failed to achieve any operational-tactical successes that went beyond capitalizing on the inevitable consequence arising from the withdrawal of the Militia from the Slavyansk-Kramatorsk defence area. Simply speaking, the punitive forces were able to occupy only that, which they were simply obligated to take control of after Slavyansk was abandoned. In view of their numerical and technical superiority, the Ukrainian military formations have a plethora of advantages in a transition from positional to maneuverable warfare. However, the most interesting outcome of the latest July escalation in the operational situation is perhaps the fact that the talentless operations of the Ukrainian military formations once again created the preconditions for the emergence of a positional front. Only time will tell whether or not the command of the Militia will manage to take full advantage of the developing circumstances. The first direction of the punitive forces’ offensive became the advance in the Shakhtersk-Torez area from the north and from the south, the aim of which was to cut off the main lines of communication between Donetsk and Lugansk and the Russian border. This operation became perfectly obvious immediately following the withdrawal from Slavyansk, and it is then when attention was drawn to the reality of the checkpoints of the punitive forces being established in this region. It was also noted then that this operation is quite feasible, in contrast to the ambitions plans involving a breakthrough around Lugansk or the assaults on Atratsit or Snezhnoye. One can wonder why this operation began on July 27th, rather than on July 8th. The growing threat in this direction was obvious. 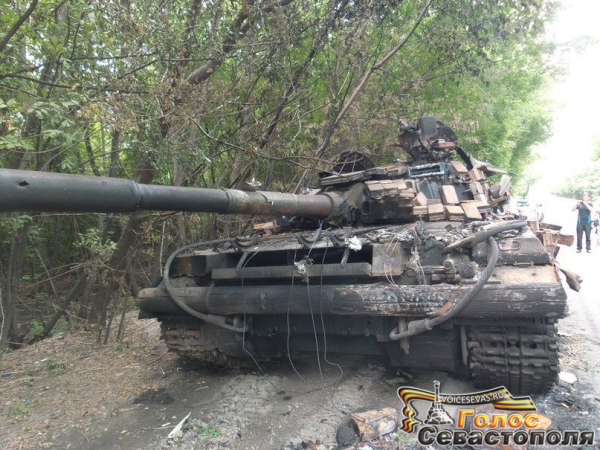 Already on June 21st the command of the DPR Militia reacted quite nervously to the information about the appearance of the tanks of the punitive forces in Debaltsevo (as nervously as it previously reacted to the attacks by crime bosses on Artemovsk). And this reaction undoubtedly was noticed by the command of the punitive corps. At the headquarters of the punitive forces, a new hope was born that a breakthrough in the Debaltsevo-Shakhtersk direction will lead to the Militia’s withdrawal from Donetsk, just like it happened in Slavyansk. From this moment on the command of the punitive forces began to concentrate all available troops for a new offensive. 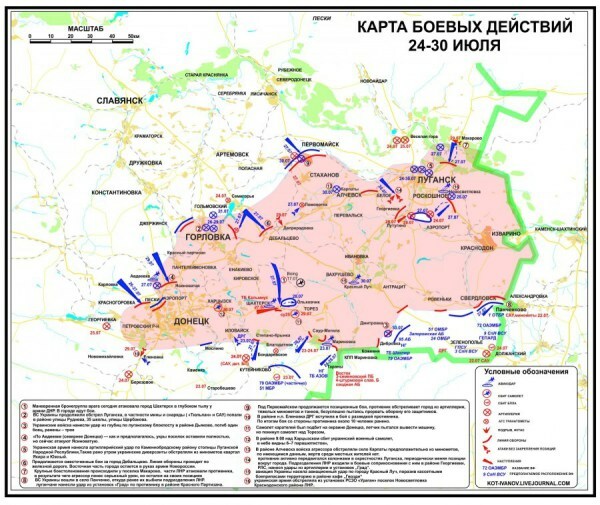 These plans were constantly frustrated by the unexpected for the punitive forces actions of the Severodonetsk Commandant’s Office, by the LPR counterattack in Lisichansk and by the decisive actions of the Slavyansk Brigade in the area of the “Marinovka Corridor”, resulting in it being completely closed on June 26th. Despite all these difficulties, the punitive forces placed their main bet on a breakthrough in the Debaltsevo-Shakhtersk direction. And, on July 23rd, they commenced battles for the staging areas of this offensive – Debaltsevo and Blagodatnoye. On July 24th, they managed finally to secure control over Blagodatnoye; however, the battles for Debaltsevo did not give the desired effect – they continued failing to oust from the village the staunchly defending Militia units. Faced with this situation, the command of the punitive corps decided to repeat the approach that previously brought it success in Artyomovsk, and in the night of July 26th-27th bypassed Debaltsevo with the tactical battalion group of the 95th Aeromobile Brigade and assaulted Shakhtersk. As far as can be told, the DPR Militia, absorbed in the fighting for the Marinovka Corridor and for Debaltsevo, did not expect this move. The maneuver was a complete success. The reason for this success is that the DPR Militia, insofar as it seeks to maintain a continuing line of front, does not have the ability to garrison key settlements located beyond the line of defence with forces sufficient for successful defence. The Militia had no more than one company in Shakhtersk; moreover, these troops were not concentrated in a fist, but instead were dispersed throughout checkpoints. At the same time, it is necessary to have least 200-300 fighters to repel an attack on a settlement by a tactical battalion group. And, in general, the minimum necessary garrison for such a settlement is 500 fighters.The main forces of the 2nd and the 3rd Battalions of the Slavyansk Brigade were located to the south of the Torez-Shakhters-Zugres-Kharzysk line. 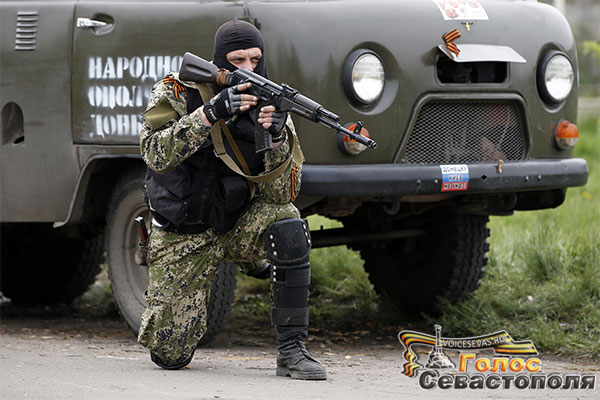 As a result, meeting practically no resistance, the punitive forces established company strongpoints in the areas of Gornoye and Olchovchik, thereby cutting off the shortest routes from Donetsk to Snezhnoye. The forces of the Militia at that moment were fettered by attacks coming from the front in the area of Stepano-Krynka. And although the attacks of the punitive forces in this area were repulsed, the punitive troops in Shakhters merged with the main forces of the Amvrosievka grouping of the Ukrainian armed formations that came up from the side of Blagodatnoye. The DPR Militia ended up in a very difficult situation. Its forces were split apart. Communications to the north, of course, were maintained, and to cut them off the punitive forces would have needed at least three free battalions, which the Ukrainian armed formations did not have available. However, that was not the problem. The withdrawal from Slavyansk placed a heavy psychological burden on the shoulders of the DPR Militia. “The enemy is too strong; it is too well armed.” And it is this mental attitude that became the main obstacle to the transition of the confrontation again to the positional phase. The Militia needed to make a stand somewhere; it needed to win a psychological victory over the punitive forces and to break the enemy’s will to attack. It seemed that there would again be a retreat, and that a decisive battle would come later. 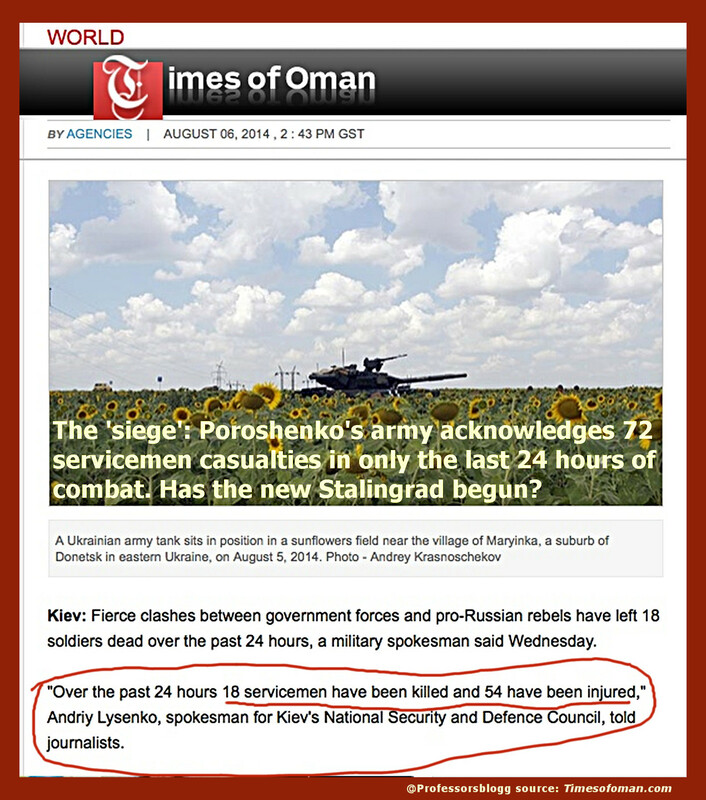 But then the talentless command of the punitive corps did a favour for the DPR Militia. Rather than being satisfied with their success, pulling up artillery and digging into the ground at the newly acquired positions, it decided to finish DPR once and for all. And on July 28th it commenced a new offensive. Bypassing Torez, the punitive forces rushed from Gornoye through Manuylovka and Petrovskoye into the rear of Saur-Mogila. From Semenovskaya and Tarany, their armoured columns rushed toward Stepanovka and Marinovka. Their most battle-worthy units located in the Southern Cauldron attempted a breakout from Djakovo in the direction of Dibrovka and, from there, toward Dmitrovka and Chervonnaya Zarya. 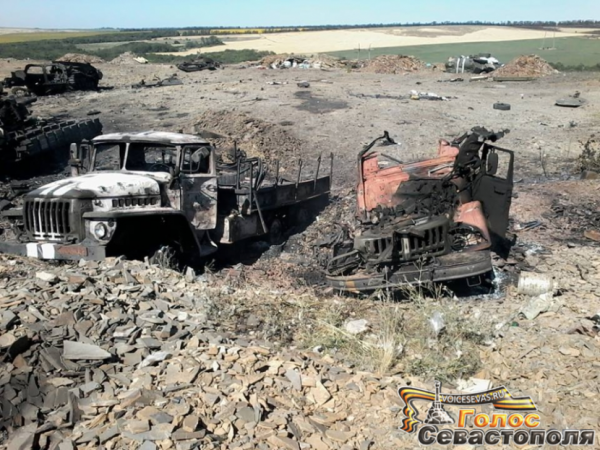 All the artillery was aimed at Saur-Mogila in an attempt to suppress the Militia’s artillery battery. But the DPR Militia, and, first and foremost, its Slavyansk Brigade, managed to withstand this assault, in the process retaining all the key settlements. The successes of the punitive forces were limited to yet another occupation of the village of Saurovka, which the Kiev propagandists quickly renamed Saur-Mogila, and the displacement of the Militia from Dmitrovka. The punitive forces were even unable to forge a corridor to the south of Marinovka. But the main thing was that the Militia withstood the strike of the 250-vehicle armoured armada of the Ukrainian regular army. In the course of these battles, the Militia has proven, first and foremost to itself and its command, that it is capable of withstanding an assault of such magnitude. The command of the punitive forces was unable to transfer reserves from the north. Bogged down in the fighting on the approaches to Gorlovka and in Debaltsevo, and fettered by a counterstrike in Popasnoye and, on the part of the LPR Militia, an assault near Depreradovka, aimed at the rear of the Debaltsevo grouping, it had no available troops. The final effort of the punitive corps on July 29th allowed them to enter Stepanovka, but, on the very same day, the DPR Militia punched a corridor in Shakhtersk through to Torez. The July offensive of the punitive corps on the territory of the DPR has petered out. Despite the fact that the situation remains exceedingly difficult, due primarily to the numerical and technical superiority of the punitive forces, and despite the regular terroristic shelling of the DPR cities, the DPR Militia has been able to create the preconditions for a transition to positional fighting in the sections of the front selected by the Militia. The situation in the Lugansk area was developing in a less dramatic fashion, even if the danger to the Militia that it carried was no less significant. The key point in the LPR defence is the settlement of Novosvetlovka to the south-east of Lugansk. The settlement itself is not large, but all the roads leading to Izvarino pass through it. Its loss would cut off not only Krasnodon, but also the main highway to the Russian border. Certainly, its loss would not result in a catastrophe, but it would significantly complicate the situation in Lugansk. Starting on July 27th, the command of the punitive corps undertook several attempts to break through to this settlement from the side of the Lugansk airport, as well as from the area of Lutugino, through Pervozvanovka and Krasnoye. Airstrikes were conducted on Novosvetlovka. However, in the end, the LPR Militia utterly defeated the 24th Territorial Defence Battalion Aidar, along with the supporting units of the 1st Separate Tank Brigade [“OTBR”] and the 30th Separate Mechanized Brigade [“OMBR”]. The punitive forces sustained significant losses not only in terms of killed and wounded, but also captured soldiers. The reason why the success achieved by the Militia here did not entail such dramatic twists and turns as the one near Donetsk is that the LPR defence is built on proactively taking control with sufficient forces even of key settlements that are not subjected to direct threat, often to the detriment of control over connectedness and continuity of communications. What enable the command of the LPR Militia to adhere to such a tactic is its advantageous position with respect to the Russian border. On the same day, July 27th, the command of the LPR Militia continued to apply pressure to the isolated garrisons of the punitive forces in the area of Krasnodon, where the remnants of the units of the 51st OMBR are being finished off, and in the are of the Dolzhanskiy border crossing checkpoint, where the liquidation of the Ukrainian Border Guard Service [“GPSU”] garrison is being completed. On the following day, July 28th, the command of the LPR Militia enhanced its positions, continuing to extend its success – it took control of the key strategic height near Georgievka and extended its proactive maneuvers to the west, in the direction of the settlement of Cheluskinets. Accordingly, in the Lugansk area the Militia was able to maintain its key positions and to prevent the Lugansk airport from being de-blockaded. This course of events signifies that also in this region the necessary preconditions for the transitioning of the hostilities to a positional phase have developed. At this moment, the least stable situation continues to persist in the Pervomaisk-Stakhanov-Bryanka-Alchevsk-Krasniy Luch strip. Here the outcome of hostilities has not been determined, and significant changes to the positions of the warring sides remain possible. Likewise, changes of any kind cannot be excluded in the area of the crash of the Malaysian Boeing. Pinker, Steven (2011). The Better Angels Of Our Nature. Pg.263: Penguin. ISBN 978-0-141-03464-5. Cited in Wikipedia article “Pyrrhic victory“. ← New findings may indicate that Malaysian Airlines MH17 was shot down by a fighter-jet.